January can be a dreary time up at the allotment: cold claggy soil, weedy peripheries, bare trees and a general sense of neglect and of plots too long abandoned. And yet…and yet…when I slip-slide around my raised beds I find there is still plenty to harvest: leeks, parsnips, Tuscan kale, Swiss chard. The slugs have even left us some carrots (the voracious little gastropods are especially fond of the sweet and stubby rooted Paris Market variety), but I manage to find a bunch that have not been too gobbled. There are also some golden beetroot to pluck, some as big as turnips. From the outside they do not look too promising – over-weathered and their skins suggesting woodiness within. But to my surprise, they are still good – delicious chopped into cubes and roasted till they start to caramelize, and even better with added quartered onions (Sturon still going strong from the summer cropping) and cloves of garlic kept in their papery jackets (so they can be popped out later, if squidgily, and accompanied by much finger licking). Down by the raspberry bed, the purple sprouting plants, long nurtured through the summer drought and now wrapped in netting against pigeon attack, are looking stout and lush-leaved. I see that they are beginning to yield, and manage to find half a dozen fat florets. Hopefully, the plants will keep cropping now into the spring. And then as I make for home with my muddy bag filled with veggies, I spot the marigolds (Calendula officinalis). There they are, back in flower after their December lull, and making their own sunshine on a dull and chilly day. 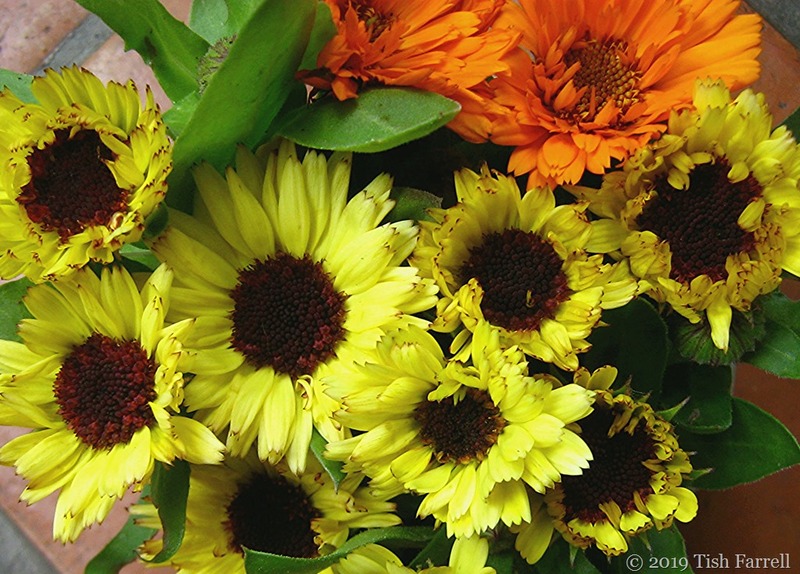 I feel a bit guilty about picking them, but then I think some sunshine on the kitchen table would be a cheering sight for He Who Is Presently Coughing His Socks Off. And of course a scatter of petals, therapeutic little entities that they are, would be just the garnish for a dish of roasted golden beetroot. Self-sown and grown on my plot. 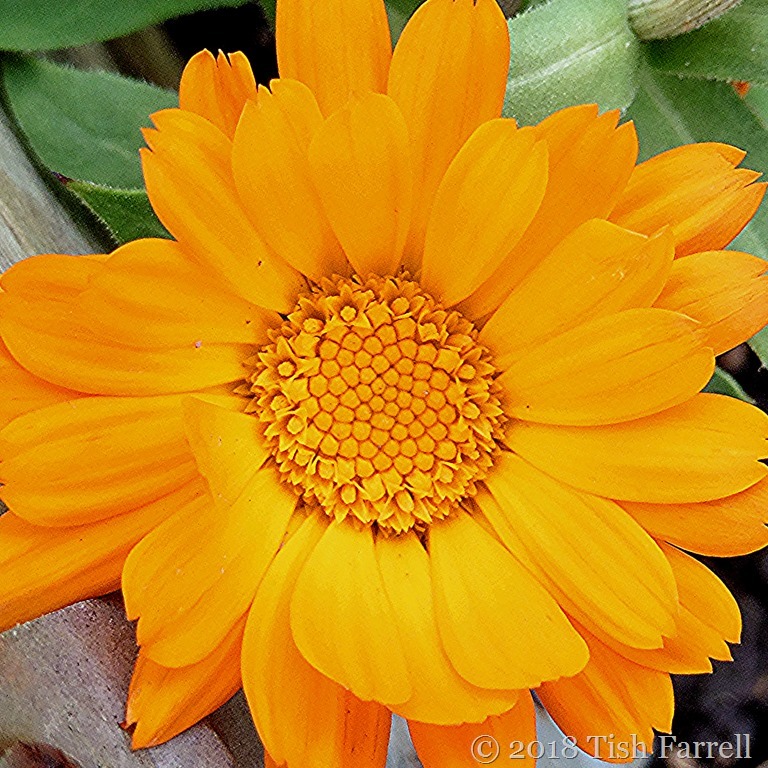 This marigold had its photo taken on 22nd January. She was growing in my strawberry bed, one of several plants that have spread themselves hither and thither on my allotment plots and been quietly flowering all winter. They make their own sunshine, don’t they. Though I think even they will have been defeated by the current Siberian onslaught. I have not ventured over the field to see. 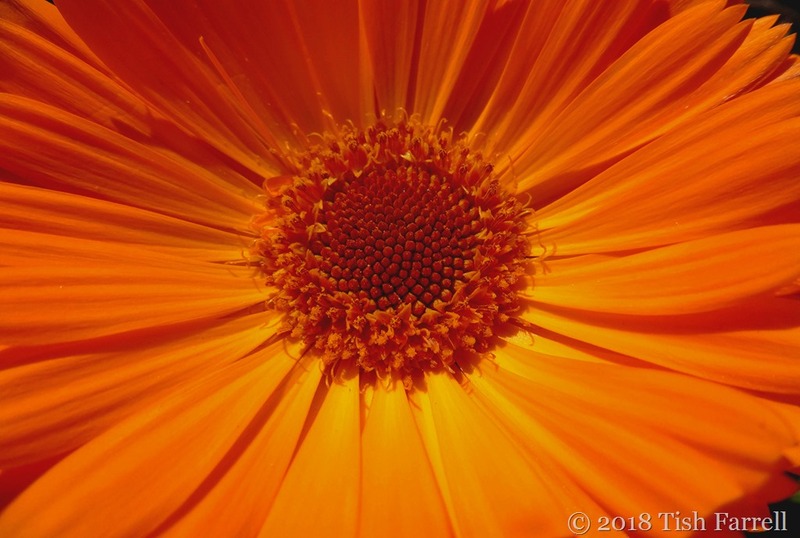 For hundreds of years the marigold has been much loved by herbalists. Its properties comprise a complete pharmacy – from healing skin conditions to boosting the immune system and many disorders in between. I usually just add the petals to salads, or as a garnish to rice dishes. The colour alone is enough to lift the spirits. Six Word Saturday Please visit Debbie to see a very shaggy sheep. March Squares For this month Becky has set us the daily challenge of posting square photos featuring either squares or circles. You may post as inclination strikes.